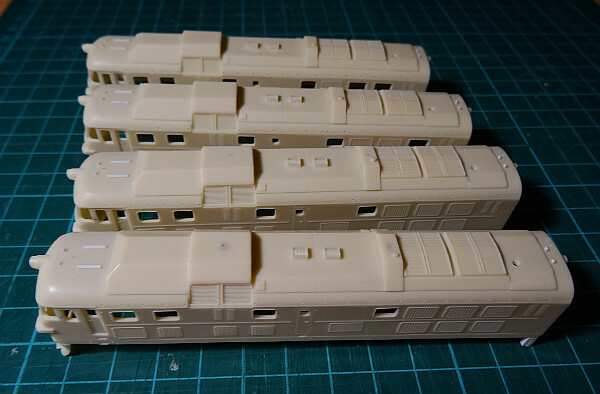 I plan to install the extra powered wheelsets in the coming days and do some test runs with all four chassis. 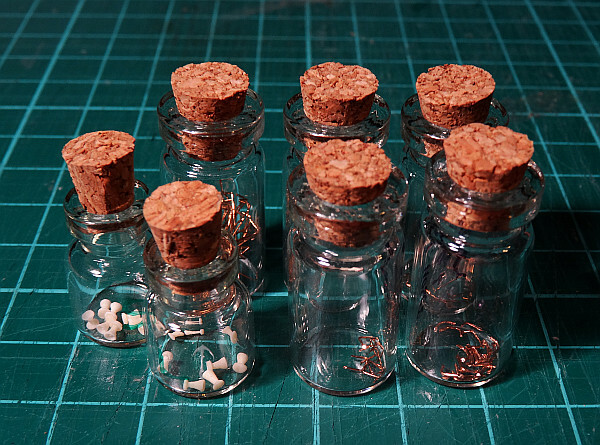 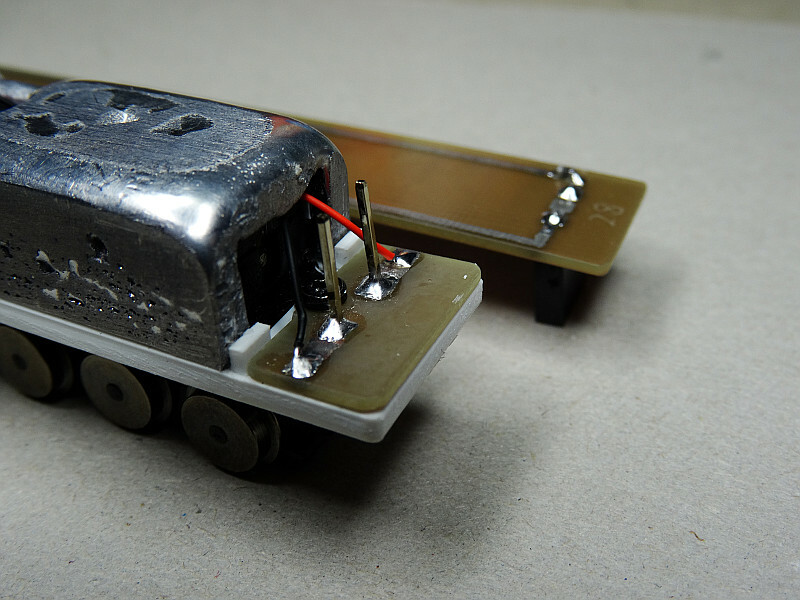 Attaching the lighting circuit to the shell ensures that the LEDs line up perfectly with the light shafts. 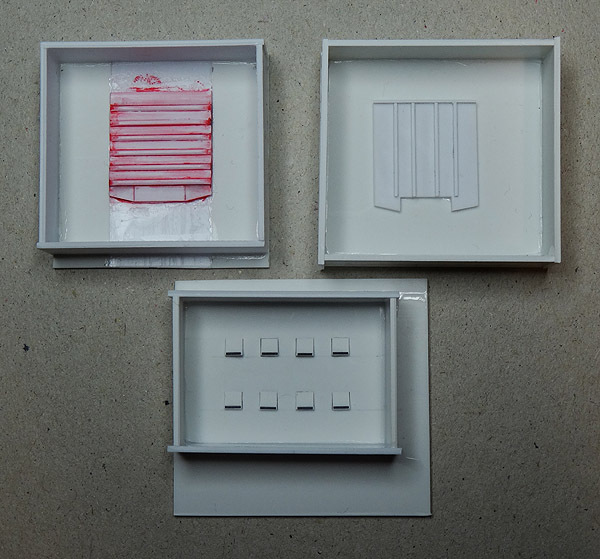 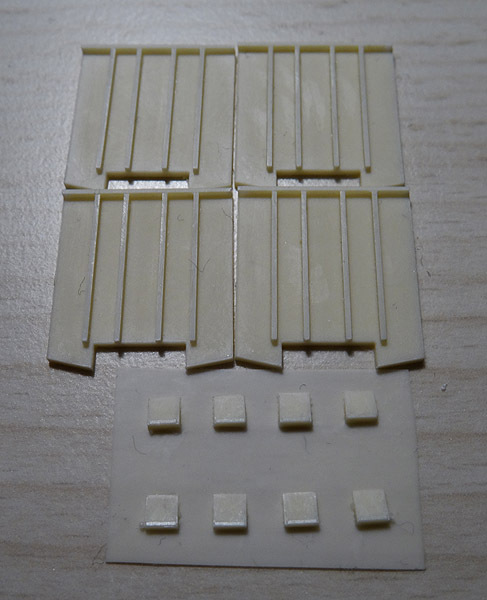 Also, it will be easier to block unwanted light with rubber foam padding and adhesive shades, as these can remain in place after removing the mechanism. 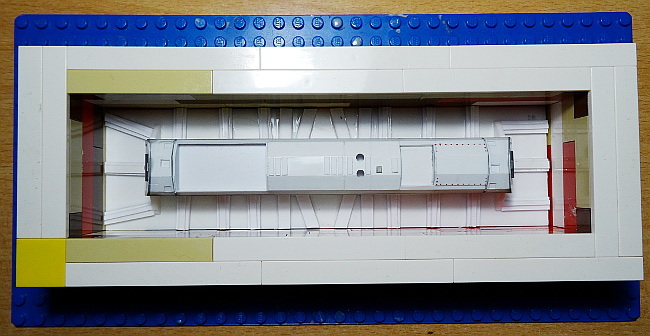 There will be a guiding frame attached to the bottom of the cab interior assembly which will hold the separate white/red LED board in place. 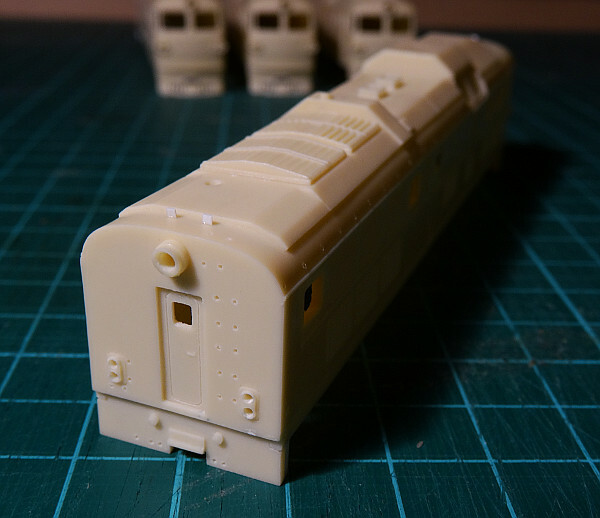 With the lead weights installed, each locomotive weighs in at ca. 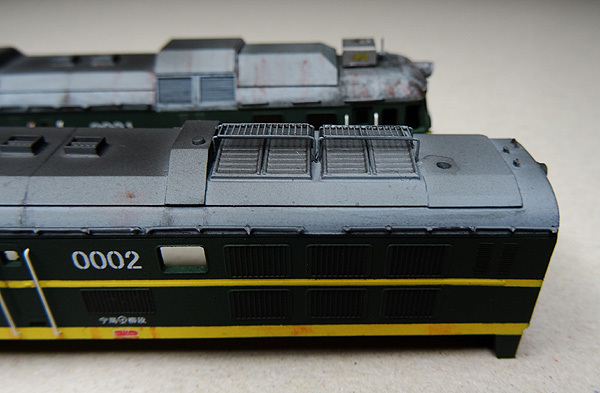 120 g (the CMR Line DF4s weigh ca. 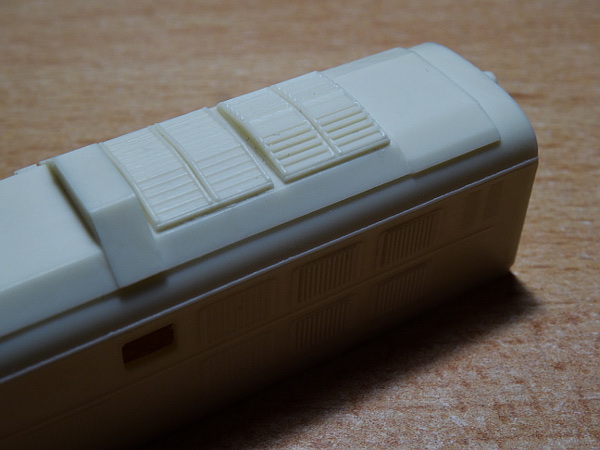 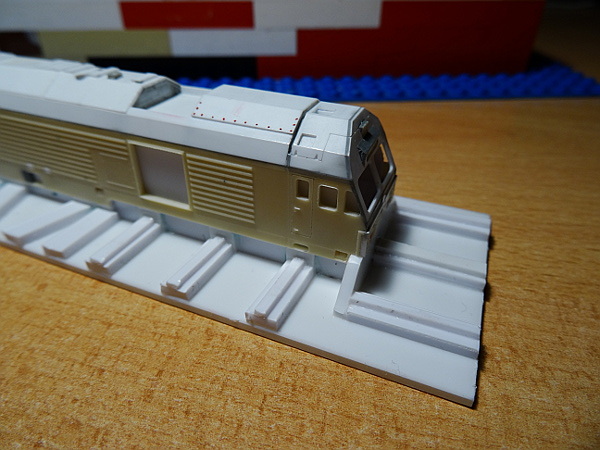 115 g, and the original Life-Like GP38, the starting point of the DF7D mechanism, weighs ca. 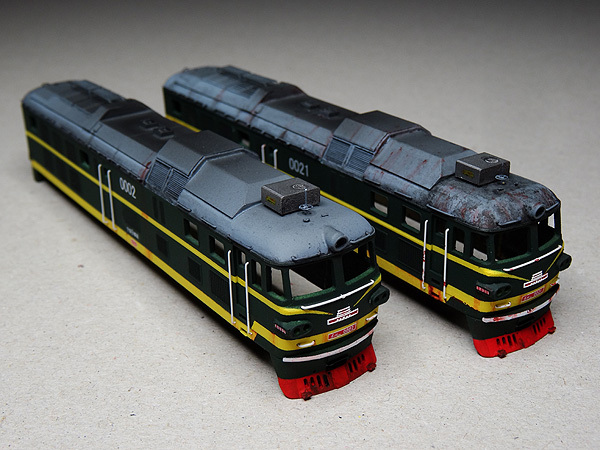 85 g). 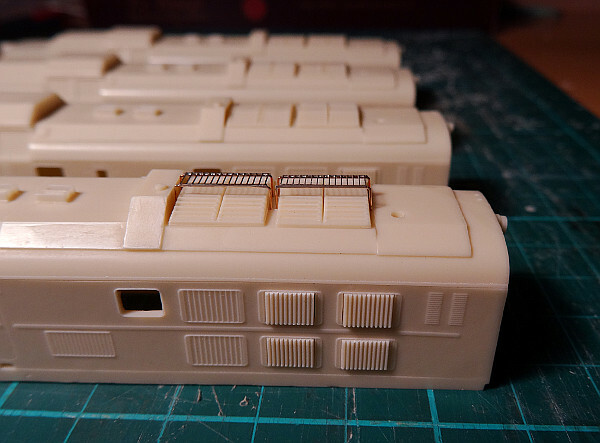 Apparently, the mechanisms will need some break-in mileage after several years of storage, but they behaved reasonably well even at the first test runs. 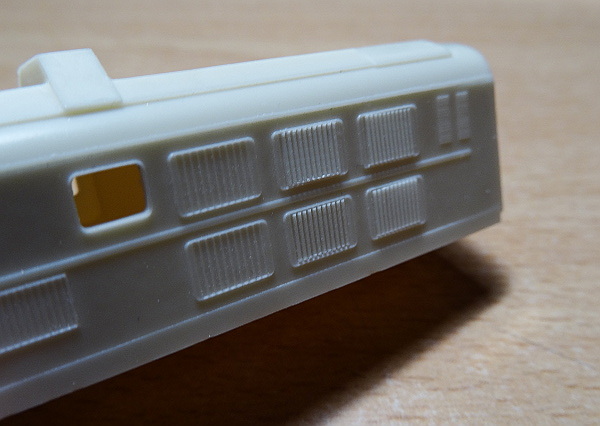 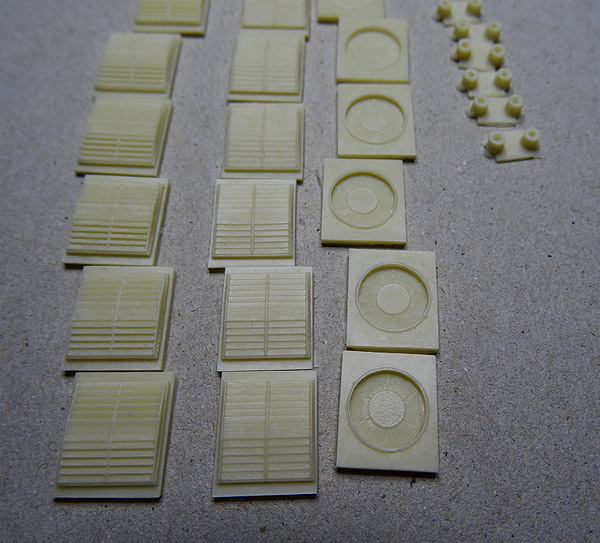 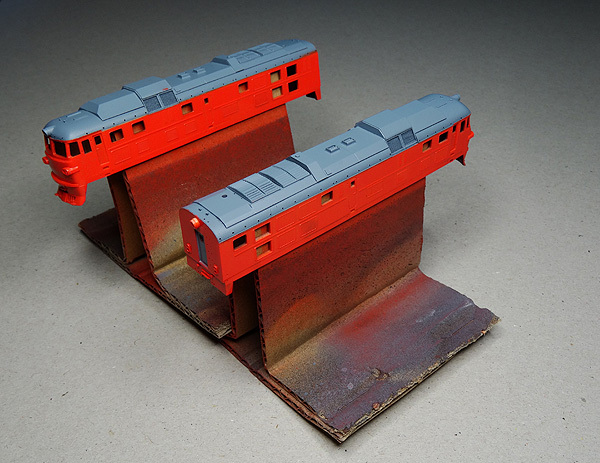 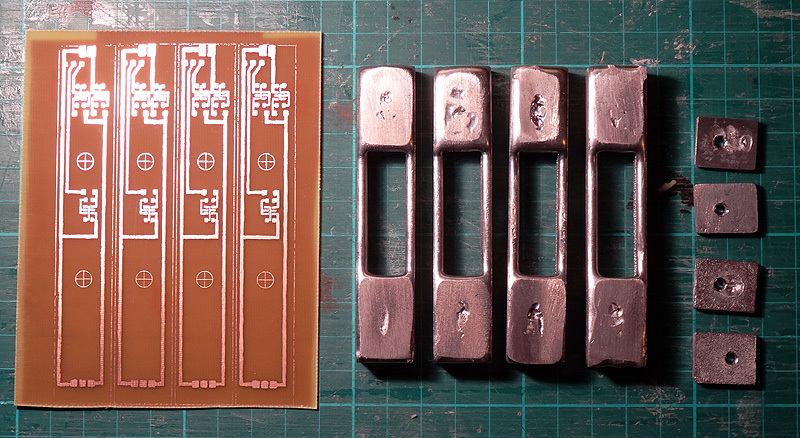 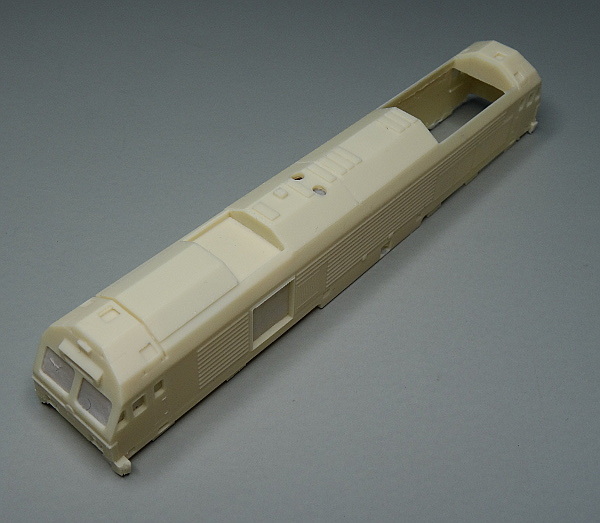 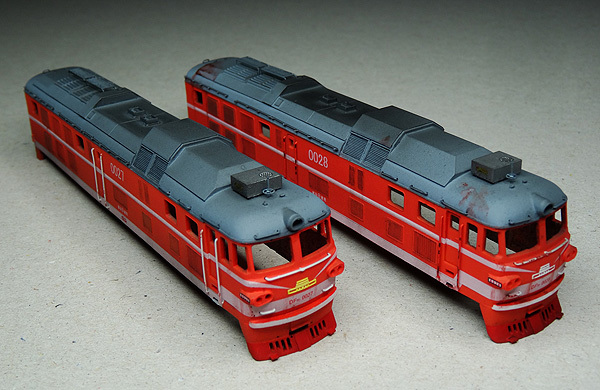 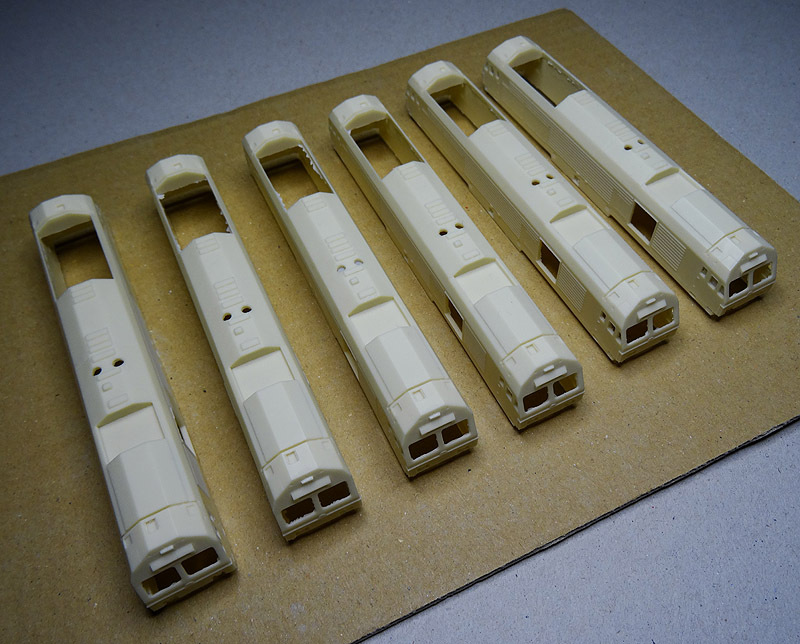 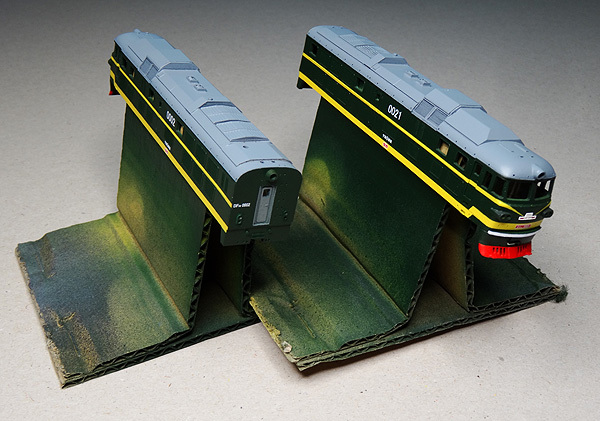 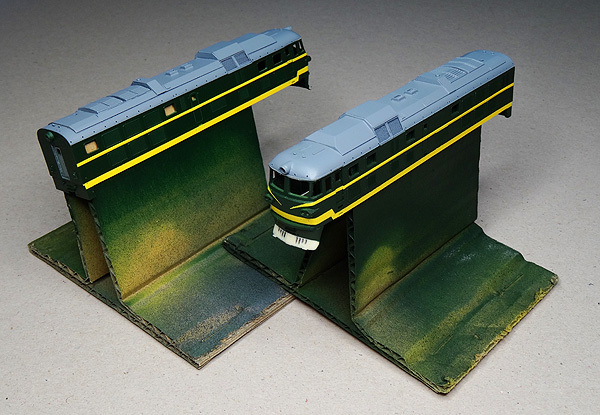 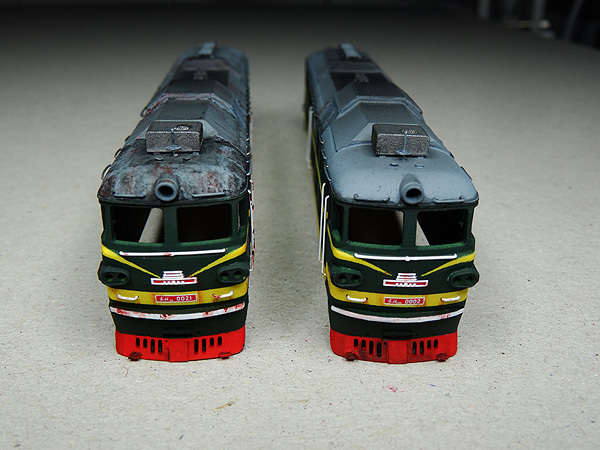 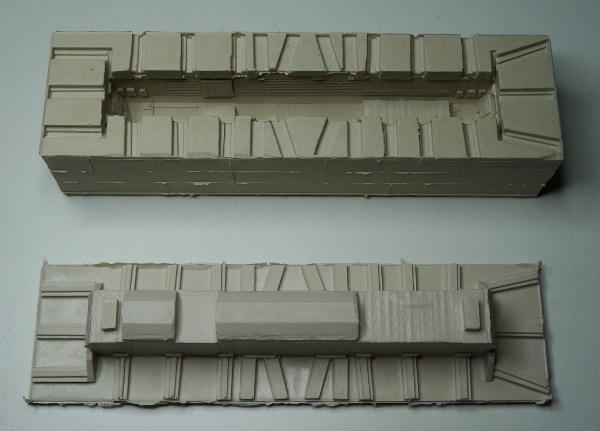 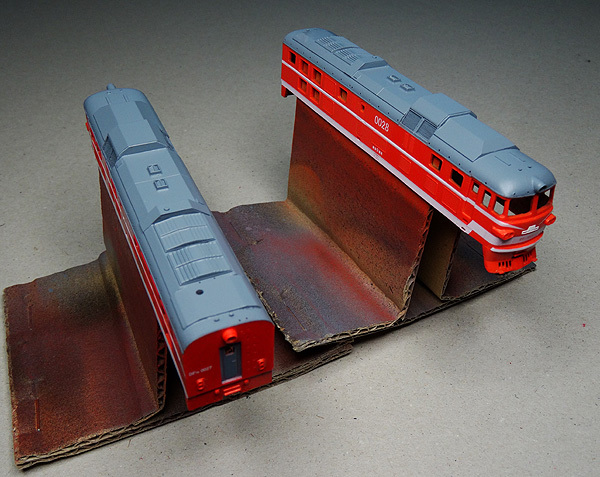 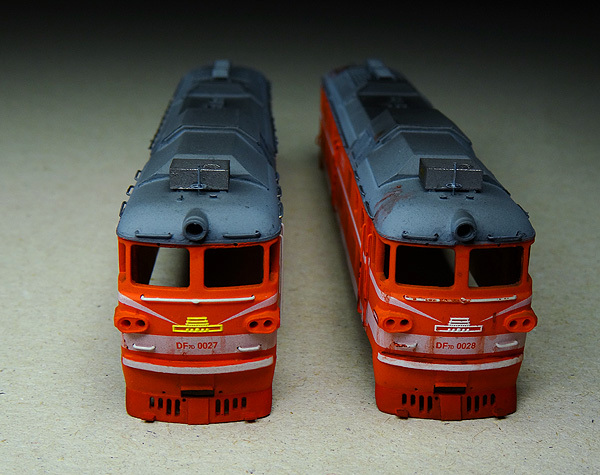 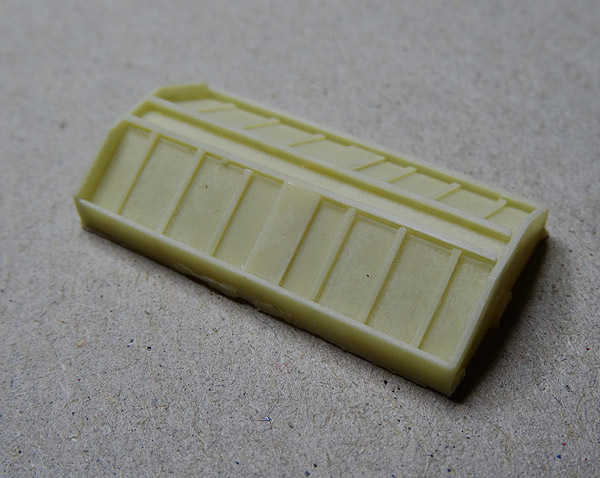 Meanwhile, I received some more CMR Line DF4s – the bogies of these will be used for the HXN3. 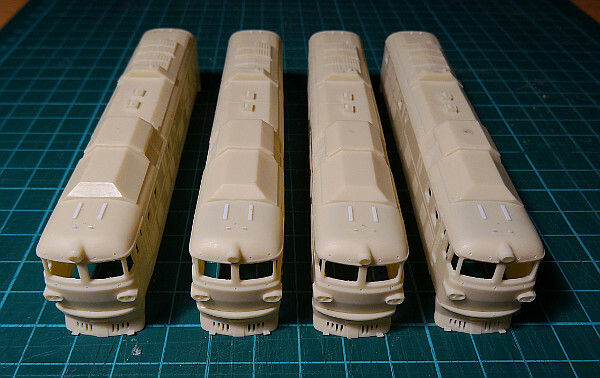 Also, the DF7D shells are receiving details. 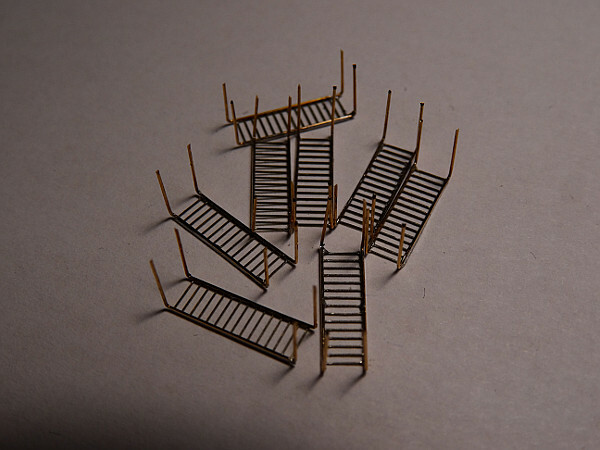 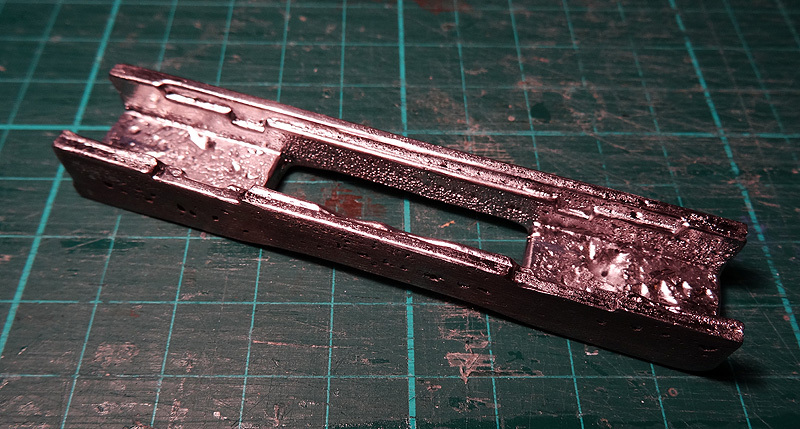 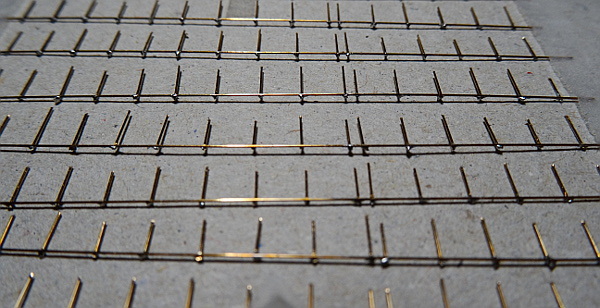 About half of the grab irons are now soldered together (photo shows a complete strand before being cut apart), the rest will be bent to shape, including the air hoses made of thicker wire. 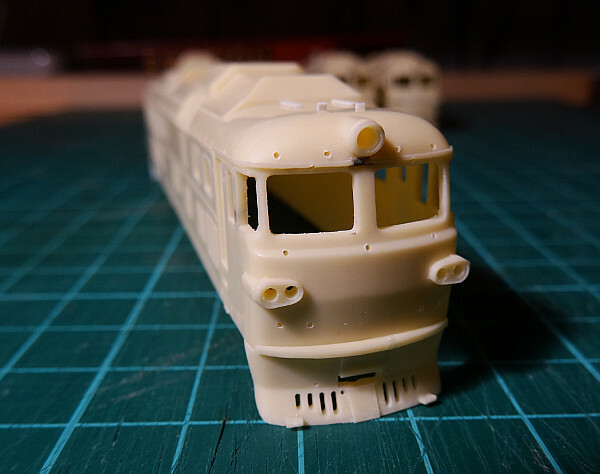 Some "post-work" is still needed (removing excess material, cutting free venting channels, extending the cavity behind the headlight box), but things now really begin to take shape. 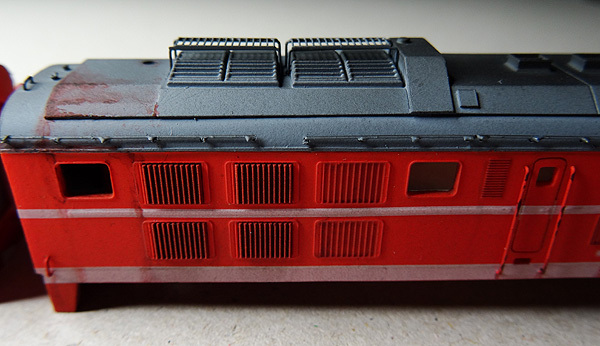 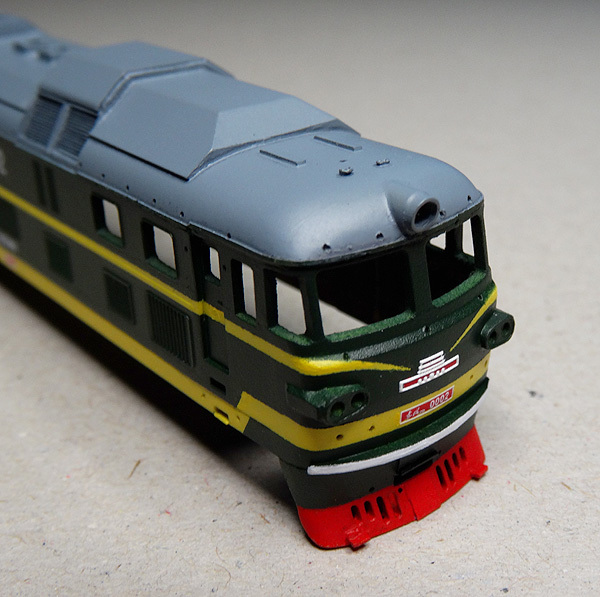 It is going to be very busy in my other railway project (our preservation group will run two excursion trains this month), so this may be it for this month in terms of model projects, but I'll get back to the HXN3 as soon as I can. 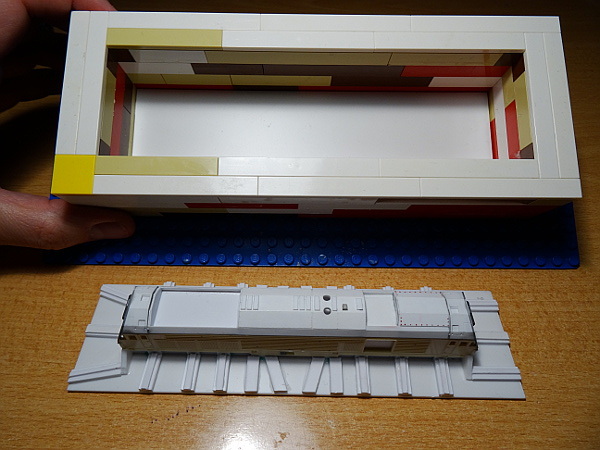 The size and the complexity of the shell are definitely a challenge. 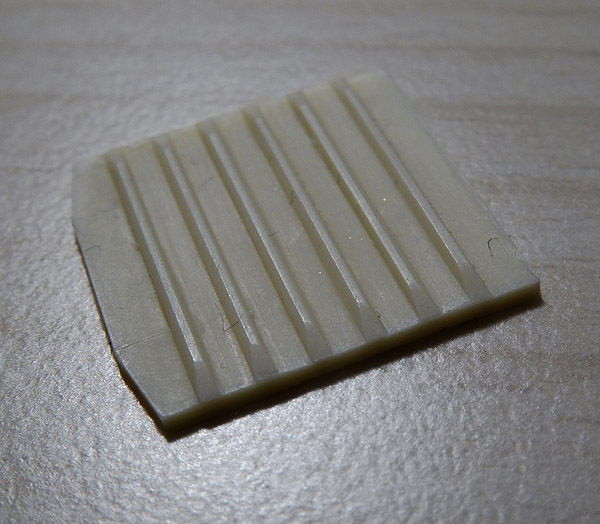 May have to re-cut some venting channels and find a better way of pushing the core into the mold to prevent bubbles, but altogether, it is possible to cast the shell quite well. 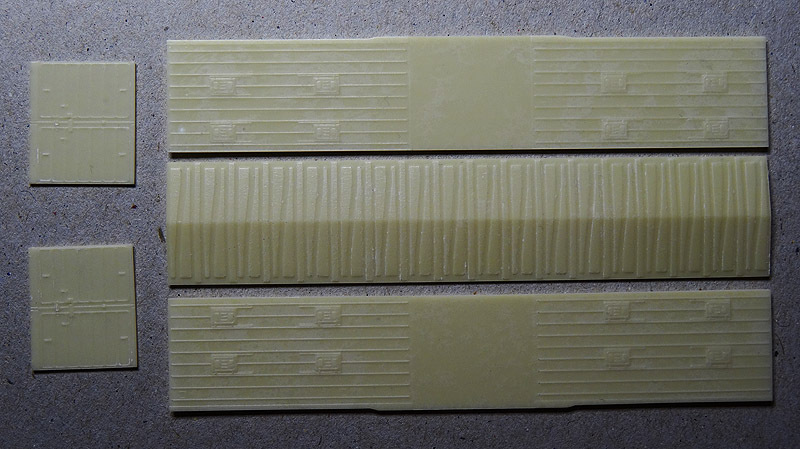 I'm taking two different approaches with the stripes on the two sets: the green ones have masked-off stripes, while the white stripes on the orange pair will be applied as decals (white laser toner on 7-micrometer decal film). 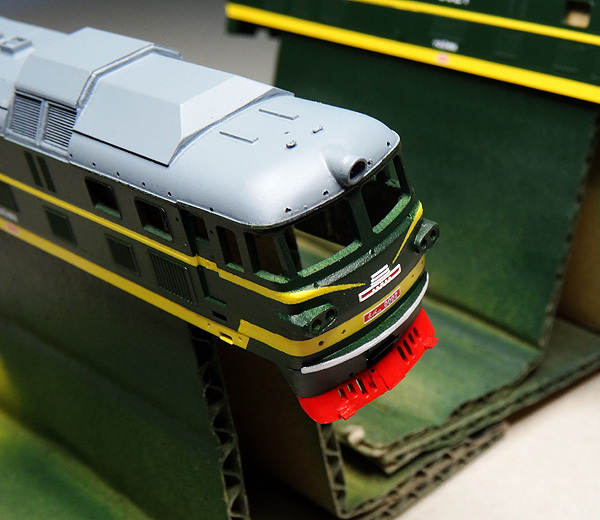 Hope to find some time next week for the box car master as well.